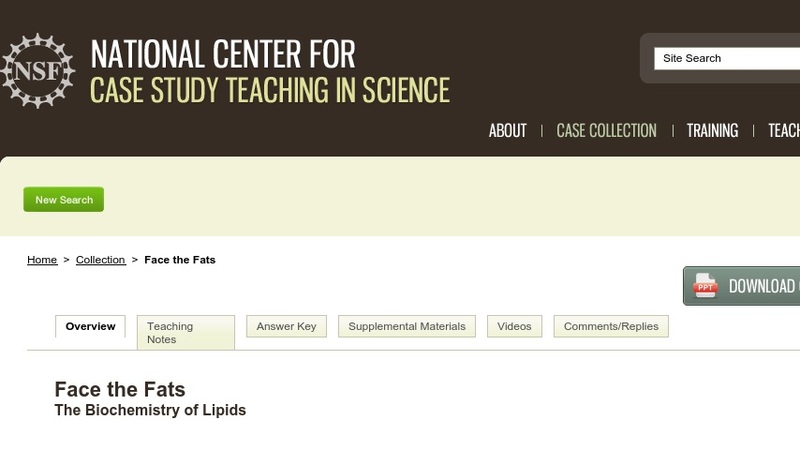 This clicker case introduces students to the biochemistry of lipids through the story of Pete, a college student who begins to consider his nutritional fat intake after watching a commercial for the cholesterol-lowering drug Vytorin. In this case, students learn to differentiate the chemical composition of steroids, phospholipids, and fats as well as how lipids affect our health, both in positive and negative ways. Additionally, students learn how trans fats are manufactured and why they can have negative health side-effects. The case is designed for use in an introductory biology course either for science majors or non-majors. It could potentially be further modified for use in an upper-level biochemistry or cell biology class. The case is called a clicker case because it combines the use of PowerPoint slides (~3.74MB) and student response systems ("clickers") with a case storyline and questions. The case could be modifed however for use without these technologies.